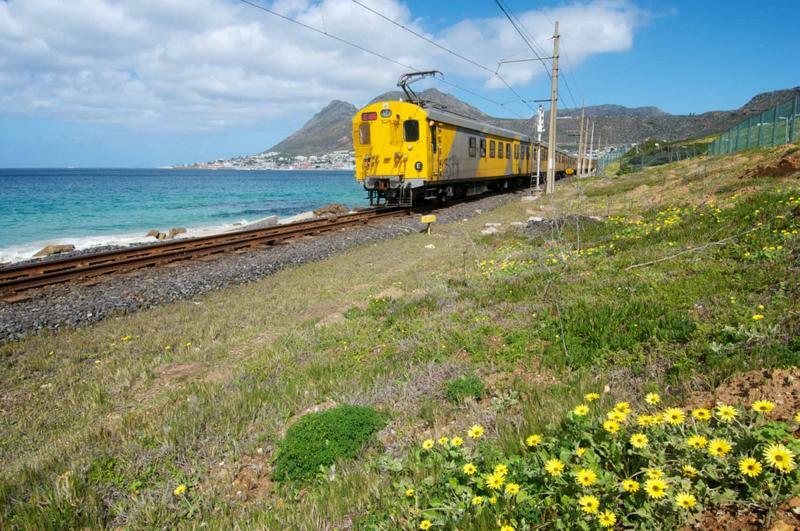 Experience the sparkle and beauty of Africa while traveling from the glamour of Cape Town into the wilds of Amakhala Game Reserve and out to the serene coastline of the Indian Ocean. 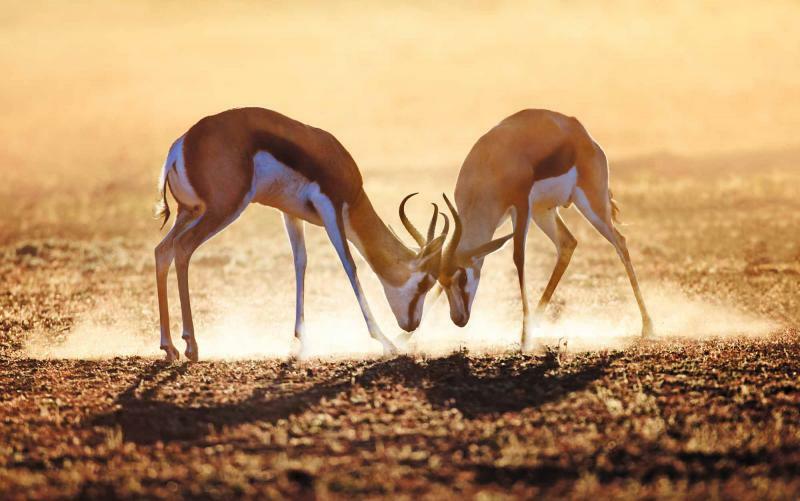 This package combines the most magical regions of southern Africa against the backdrop of fantastic and exclusive luxury lodges. 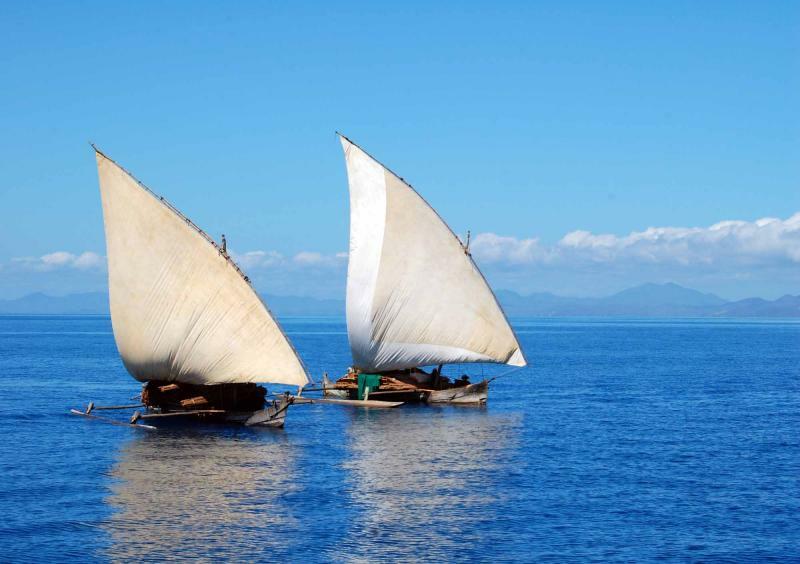 Designed for discerning travelers who value culture, food and natural beauty, this package will leave you relaxed and in awe of this special part of the world. 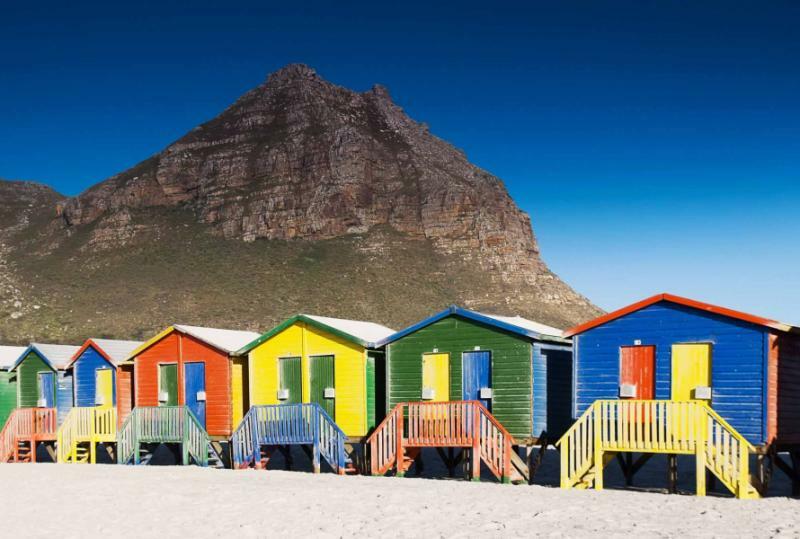 This tour begins in the stunning city of Cape Town, tucked between the iconic Table Mountain and the glittering Atlantic Ocean. Here you will see exactly why this city is garnering an international reputation for impressive food, wine and landscapes. 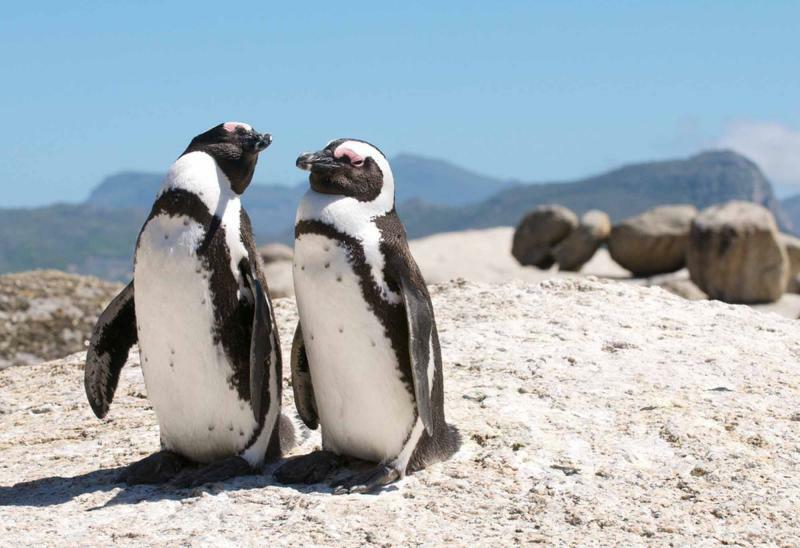 After spending a day looking out over the Cape of Good Hope, playing amongst the rare African penguins and sipping a spectacular glass of locally produced wine as the sunsets, you too will fall deeply in love with this incredible city. From the city, you will fly into the bush, in the remote and exclusive Amakhala Game Reserve in South Africa’s Eastern Cape Province. 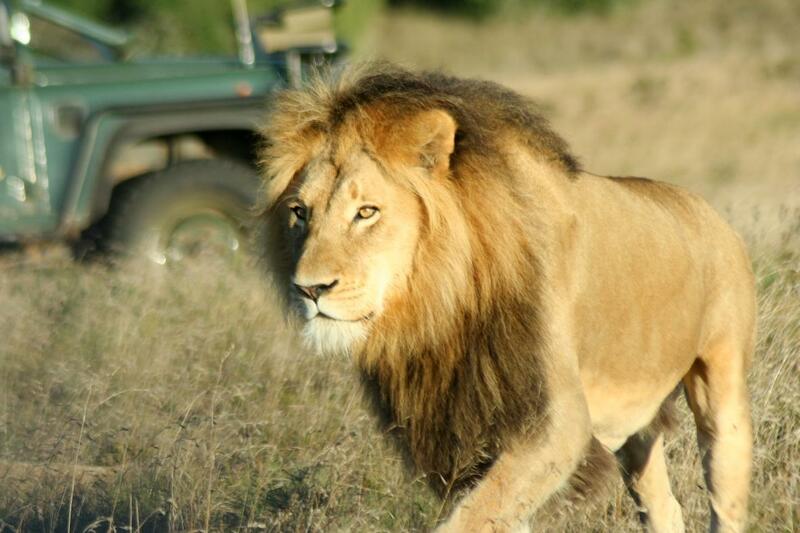 From this striking and intimate lodge, you will set out in search of prolific wildlife. 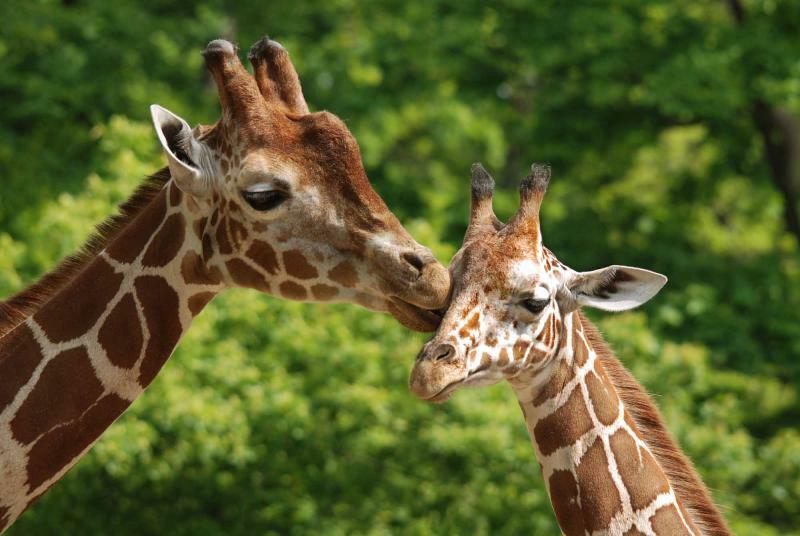 The park teems with the cast of Africa’s Big Five, and passionate guides will educate you on the wide variety of ungulates and insects. Spend time learning of this park’s extensive conservation initiatives, and its pivotal role in rehabilitating the country’s rhino population. 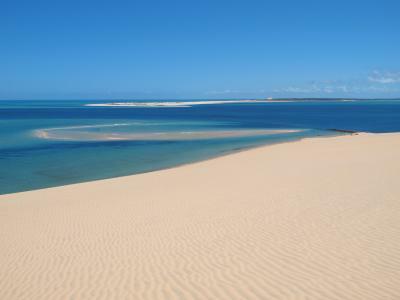 Unwind from the adventures in the bush on the tropical shores of Mozambique’s Indian Ocean. As the water fluctuates between shades of turquoise and emerald, pop your head below with a snorkel and fins to witness vibrant coral and impressive schools of fish. 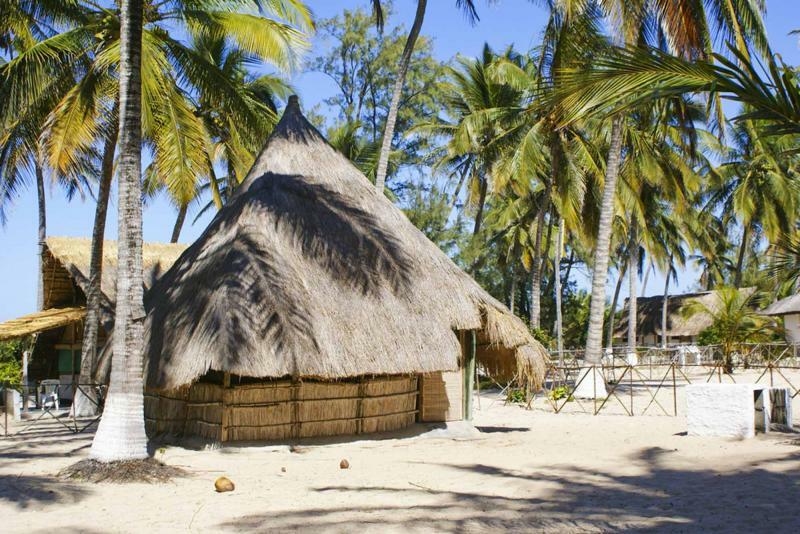 Spend your final African moments lazing on the remote white beaches with a picnic, soaking in the rays of the infamous African sun. This package will be excellent any time of year, but we generally suggest avoiding the months between January and March due to high temperatures and increased rainfall. 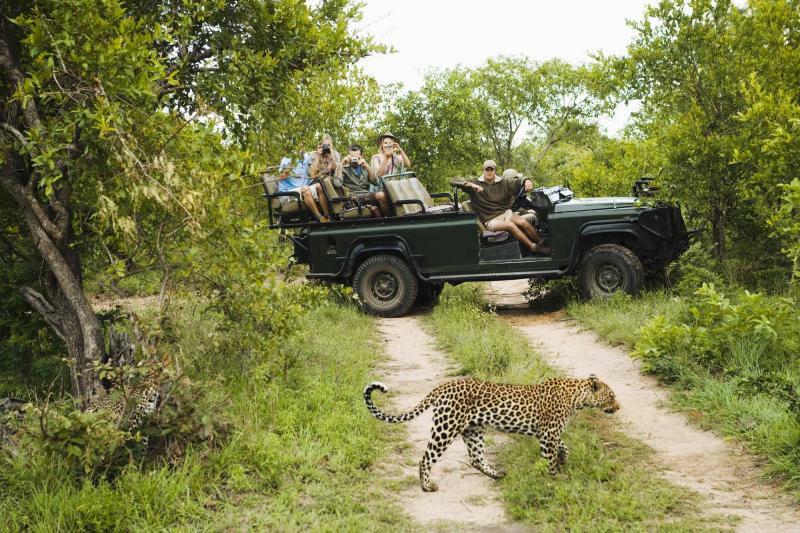 The primary consideration when determining time of year revolves around what you wish to see during the South Africa safari portion of the trip. The semi-arid region of the Eastern Cape well suited to wildlife viewing year round. The bush is at its absolute most dry from June to September however, this also coincides with the South African winter meaning that temperatures at night can get quite cold. In the summer months (October to April) the bush is somewhat more dense, but for those interested in birds, plants and landscapes this will be an ideal time. Ponto Mamoli is beautiful year round as well. The region receives its highest periods of rain from January to March, however in this region the rains often last only a short period before returning to cloudless blue skies. These months also see the highest temperatures. The humpback whale population graces these shores between July and November, with plenty of opportunities to boat out to these majestic creatures from the lodge. 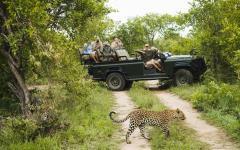 When booking, it is worth considering the South African school holidays. The country is on a year-round school system and approximately four times for year all schools break at the same time, which leads to very busy lodges and resorts. The holidays change annually and a representative will be able to inform you of specific dates to avoid at the time of booking. 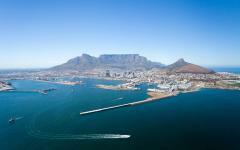 Finally, after a long flight to southernmost tip of Africa, your plane will land over the sparkling city of Cape Town. 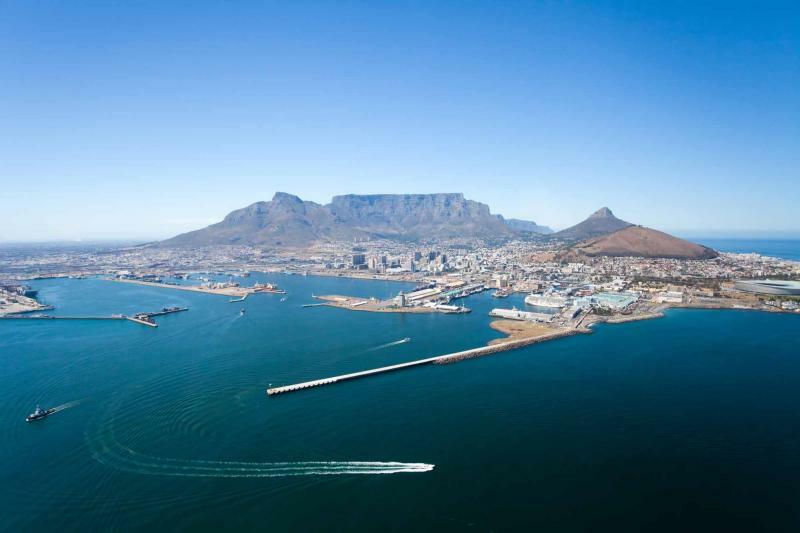 Descending over the ocean, you will see Table Mountain as it hugs the city center that glitters right out onto the waterfront. A lucky few will descend on a day when you can see the clouded tablecloth coating the top of this infamous landmark before the airplane touches down. 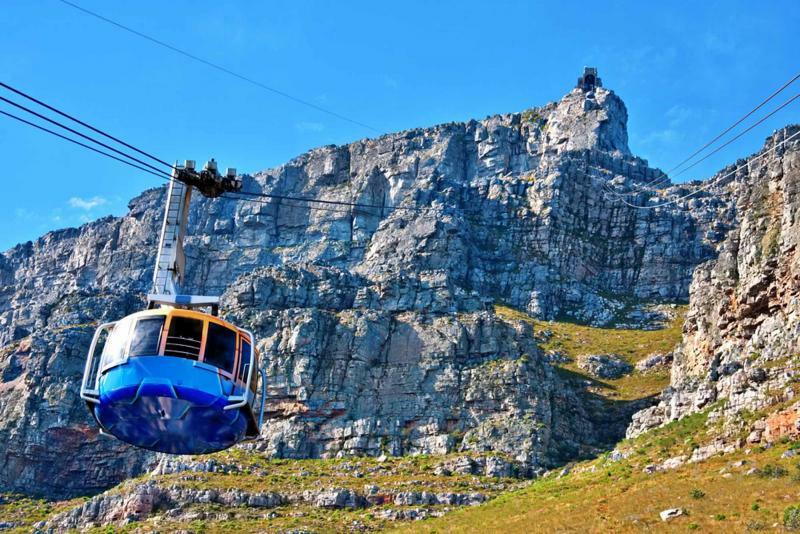 After you disembark, clear customs and collect your baggage, a representative will drive you to the Trevoyan Guesthouse at the base of Table Mountain. This Victorian-style boutique hotel is tucked away in the leafy suburb of Tamboerskloof, with a magical 95-year old oak tree out front. The lodge prides itself on warm hospitality and a nostalgic ‘old-time’ experience reminiscent of when the house was built in 1892. With a stunning pool and brightly colored garden, this property is a perfect introduction to the elegance of Cape Town. There are numerous restaurants and cafés nearby, and this neighborhood will be yours to explore in the coming days. This morning you will rise to join the lodge guests for a delicious homemade breakfast buffet of fresh fruit, eggs and bread on the terrace. 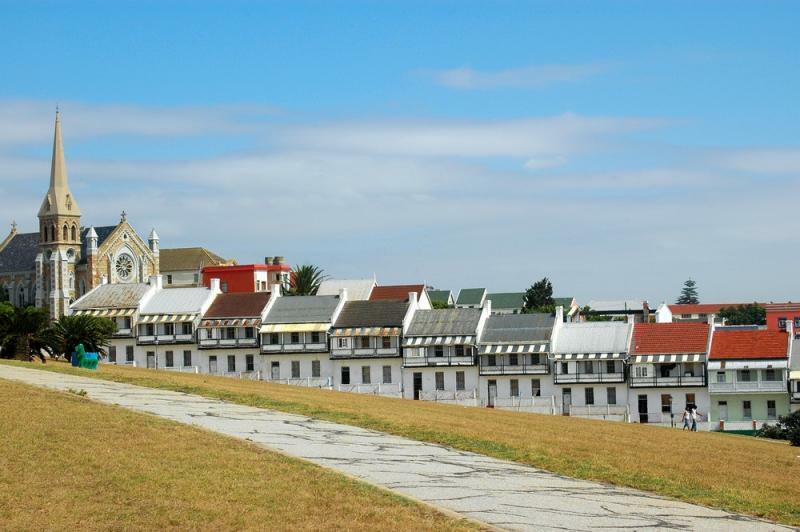 The Trevoyan is situated a short distance from most of Cape Town’s major sights, which will enable you to explore this world renowned city at your leisure over the coming days. All activities that follow are suggestions for how you might choose to spend your days. Everything is ultimately very customizable. 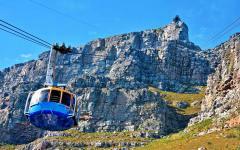 The Trevoyan is located at the base of Table Mountain, which would make a climb (or cable car) up to the top of this iconic peak a nice way to start the day. From the top, you will have sweeping views of the city as you stroll along the walking trails on the plateau. For those looking for a more vigorous hike, a climb up neighboring Lion’s Head may be of interest. This climb-only route follows a wide trail before narrowly snaking around the cliffs on the peak as you pull yourself up ladders and chains. It too offers magnificent views of the city, in addition to a burst of exercise. In the afternoon, there are a few waterfronts worth exploring. 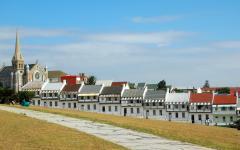 The most popular, the Victoria & Albert Waterfront, is only a short taxi away from the Trevoyan. This historic district, constructed first by Prince Alfred in 1860, is home to a wide variety of high end shops, restaurants and entertainment options. Setting sail into the harbor at sunset provides a new view of the city, while harbor front restaurants offer some of the country’s best fish and chips. From here, it is an easy walk to Long Street, a long-standing bohemian hotspot with fantastic antique stores and funky shops. Bars, clubs, and restaurants also fill the buildings with Victorian facades between Orange and Strand street, and the absolutely buzz in the evenings with music and dancing. 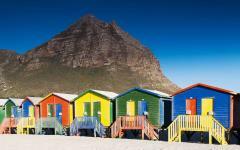 Today you will again have a full day to explore Cape Town. If yesterday you spent the day within the city, today might be a nice opportunity to take a guided tour through the remarkable surroundings. 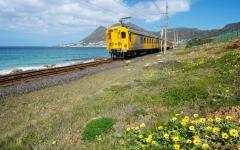 If interested in the region’s unique landscape, a guided tour to the Cape of Good Hope is certainly worthwhile. This dramatic rocky point launches out into the turbulent Atlantic Ocean, and was for a long time believed to be the southernmost point on the continent. Though that has since been disproven, it is still close – and certainly no less beautiful. 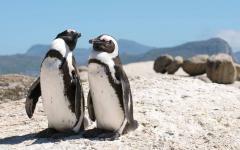 From there, it is a quick hop to Boulders Beach where the rare African jackass penguins frolic along the beach and in shallow pools. A sundowner and dinner in the trendy neighborhood of Camps Bay would be a perfect end to the day. Blues Restaurant is one of the city’s most famous restaurants, and serves a wide variety of seafood dishes. 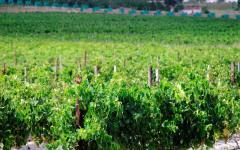 The vineyards of Stellenbosch are also worth an entire day’s tour on their own. 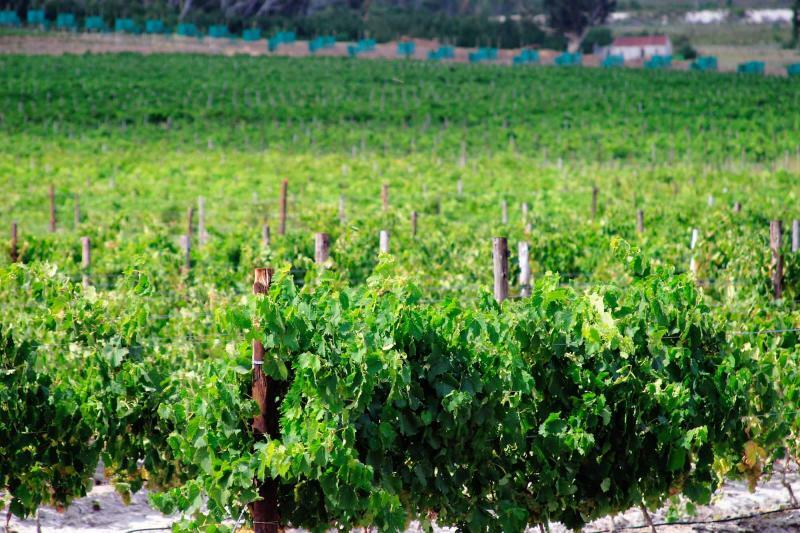 Being driven between magnificent vineyards sampling wines from world-renowned wineries is an absolute must for the wine-enthusiasts and connoisseurs. Lunch or dinner on one of these properties is sure to be unforgettable, given that this region is home to some of the top-ranked chefs worldwide. La Residence, Delaire Graff Estate and the Steenberg Hotel are longstanding favorites in this circuit – but there truly is no end in choice. Alternatively, the Cape Malay restaurant offers some of the city’s most authentic South African cuisine, for those interested in local culture. After a final breakfast in the garden, you will return to Cape Town International Airport for a flight to Port Elizabeth in the Eastern Cape Province. After a quick one and a half hour flight, you will arrive in ‘PE’ where a driver will transport you into the Hillsnek Lodge in the Amakhala Game Reserve. 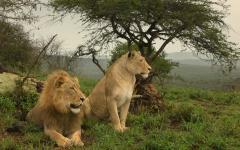 The reserve itself covers five of South Africa’s seven biomes, giving you great variety in landscapes and wildlife. The lodge is comprised of private canvas tents elevated on beautiful wooden decks. 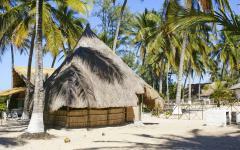 Each tent offers total privacy, tranquility and stunning views of the surrounding vegetation and wildlife. Furnished with deep bathtubs, outdoor showers and unbelievable linen, this will not be ordinary camping. This afternoon you might enjoy spending time by the stone swimming pool at the main lodge, willing resident wildlife to walk by – as they often do – before joining the lodge for dinner. After dinner, enjoy a final drink around the lodge’s copper bowl fireplace gazing up at the uninterrupted night sky. This morning you will wake to hot tea and coffee before the sun rises, in order to catch the park while it is most active. Led by an enthusiastic and passionate ranger, you will set out in search of this reserve’s rich wildlife. 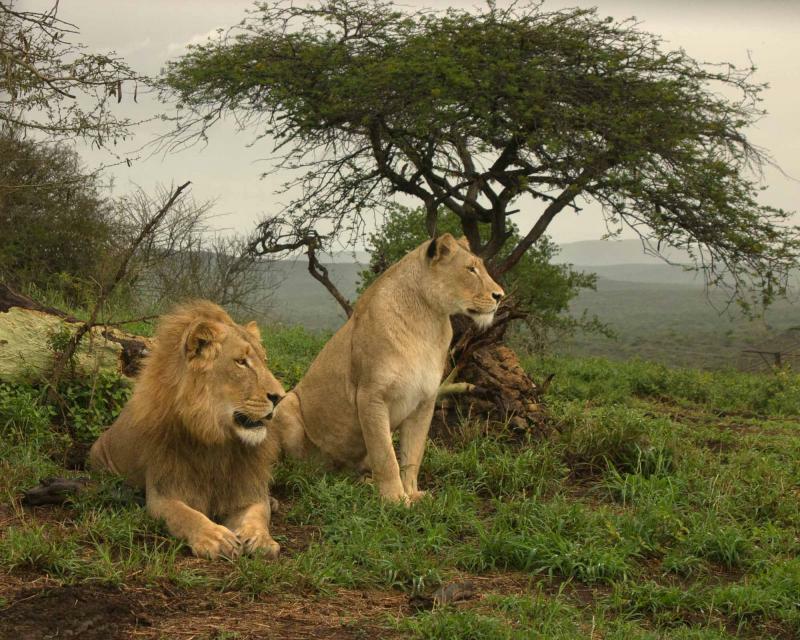 Complete with the full Big Five (lion, leopard, elephant, buffalo, and rhinos) in addition to large herds of zebra, wildebeest, hartebeest, orynx and eland you will have a thrilling wildlife experience. You will return to the camp as the sun intensifies, where you will be welcomed back with a warm towel and lunch. Spend the peak of the day swimming in the rock pool or lounging in the shade before setting out on another afternoon safari. Traversing from bushveld right to savannah, sporadically weaving alongside the Bushman’s River, you will see the full gauntlet of South African landscapes. This afternoon your guide will likely profile some of the smaller creatures and insects that are so fundamental to the region, ensuring you see and learn about more than the large mammal spectacle. As the afternoon winds down, you will head to one of the many scenic vantage points over the park for a sundowner and appetizers. Returning to the lodge for dinner, you can anticipate an exceptional and unique meal inspired by the region around you. The lodge often prepares ostrich, kuku and springbok over the ‘braii’ for guests, giving you a real taste of South Africa. As you sit around the open fire tonight, be sure to ask your guide to bring his spotlight. 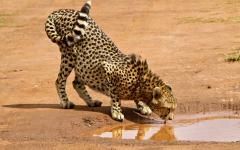 Sightings of hyenas, aardvarks and numerous nocturnal birds are common from the comfort of your canvas safari chair. Today you might be interested in learning about your surroundings as you search again for spectacular wildlife interactions. 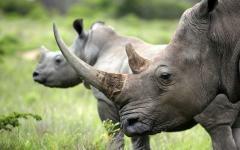 This reserve has been instrumental in rehabilitating the dwindling white rhino population, which was reduced to only 10 – 20 animals in eastern South Africa in the 1990s. 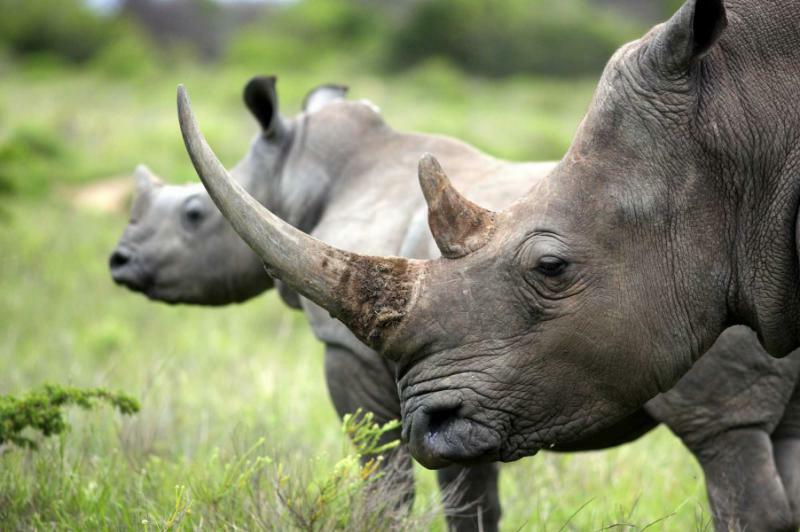 Over recent years, there have been tremendous successes with preserving this species through translocation and trophy hunting; however, the rhinos are again entering into an unprecedented period of poaching. Hillsnek safaris recently established the Chipembere Rhino Foundation as a separate non-profit focused exclusively on conservation and anti-poaching work. Your guide will be able to tour you this morning through the conservancy while teaching you more about this incredible species. Returning to the lodge, you might want to cool off in your private outdoor shower. 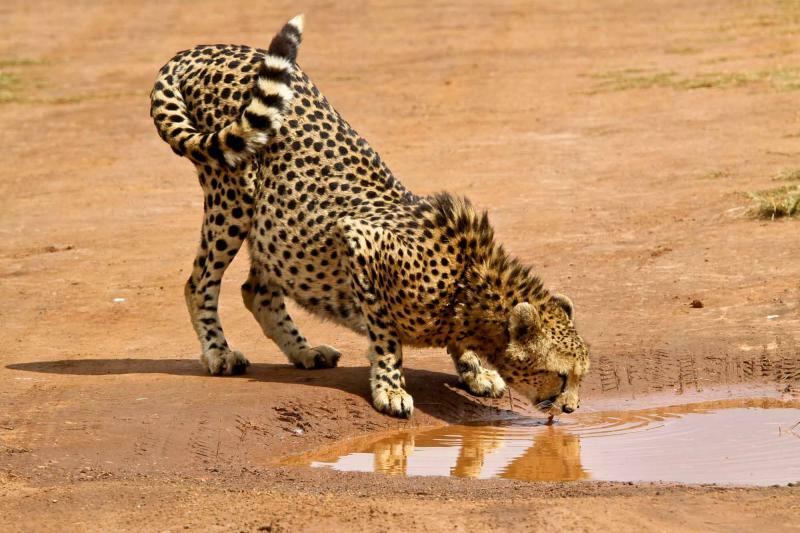 In the afternoon, you can choose to either set off on another game drive or cruise down the Bushman’s River, observing the wildlife as it comes to the banks for a drink. Be sure to ask your guide during this cruise to talk to you about the rehabilitation of flora in the region. Cattle and sheep ranchers formerly occupied this land, which led to the destruction of many indigenous plants. 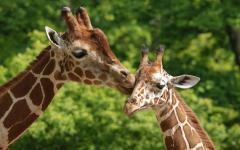 The reserve has undergone tremendous work to restore the original habitat, aspects of which you can witness today. Pausing for another sundowner in the bush, you will make your way back to the lodge after dark in a transformed nocturnal landscape. 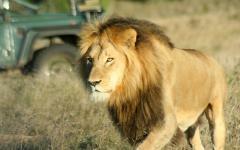 For additional information on safaris, see the travel reviews of African safaris. Today you will return by road to Port Elizabeth for another quick two-hour flight to Johannesburg. You will then be transferred to the Southern Sun hotel just outside of O.R. Tambo International Airport. Johannesburg – Joburg or Jozi to locals – is the economic capital of South Africa and is saturated with history from the anti-Apartheid movement. While the city garnered an international reputation for crime and danger, in recent years it has worked tirelessly to shed that skin, reinventing itself as a trendy city with the most outdoor art worldwide. Time and energy permitting, you may want to consider a visit to the impressive Apartheid Museum this afternoon, which thoughtfully captures the history of Apartheid and the struggle to end it. 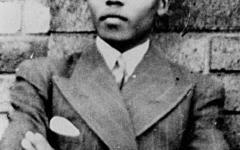 Moving through the museum in the steps of a particular racial group, you will get a taste of life in South Africa through the years of transformation. 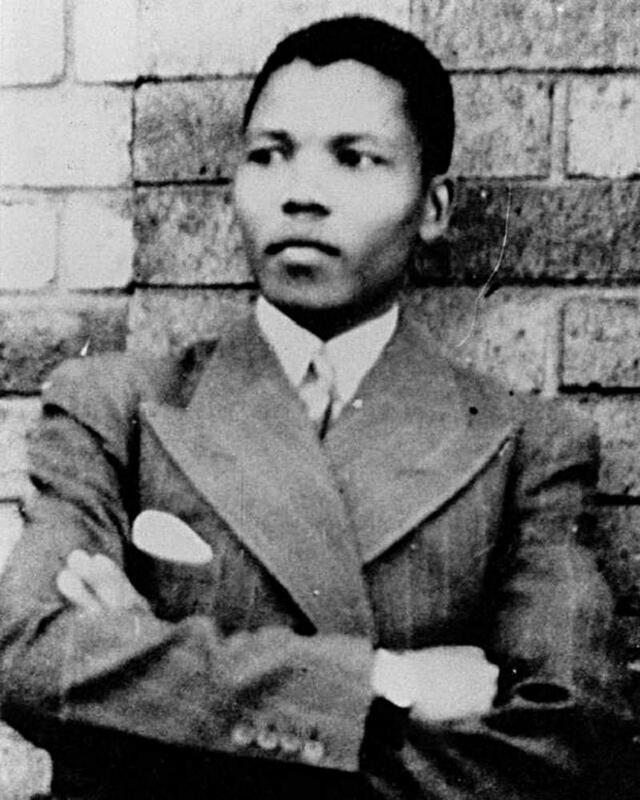 It ultimately culminates in a devoted tribute to the late Nelson Mandela, and speculation about the future direction of the country. If you were not able to visit Robben Island, a visit to this museum is a must-do for better grasping the dynamism of this country. This morning you will fly out of Johannesburg and into Maputo, Mozambique. Upon landing and clearing customs, another representative will meet you in arrivals to begin your tour of this radically different country. Much of the day will be spent driving from Maputo to Ponto Mamolini. While you will only cover 165km, it will take the better part of the afternoon. This road is infamous in Mozambique for less-than-ideal conditions – a true welcome to the ‘rest’ of Africa. That said it is possible to travel to White Pearl by helicopter if preferred. As the bumpy road ends, you will be rewarded as you check into the sophisticated and elegant White Pearl Resort on the shores of the Indian Ocean. The warm ocean breeze will blow away any frustration and tiredness from the journey, welcoming you into this enchanting piece of paradise. After lodge staff drives you to your private beachside cabin in a golf cart, take a quick plunge into your private pool before joining guests at the Ibiza-inspired beach bar. Here, the first order of business will be to try the region’s quintessential cocktail – an R&R. This delightful blend of rum and raspberry juice lures South Africans to the beachfront year round and will likely become a staple drink alongside caparhinias – a Portuguese mojito. As the sunsets, the sky will transform with stars uninterrupted by neighboring lights. Join the lodge for a candlelit dinner on the balcony before retiring to your room. Sleep in this morning, lazing about in your serene setting before meandering to the dining room for a breakfast buffet packed with fresh tropical fruit and pastries. 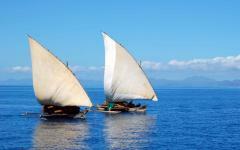 You will spend every day in Ponta Mamoli entirely at your leisure. We provide the following activities as suggestions for you to pick between or ignore completely in favor of doing absolutely nothing. Today you might enjoy a stroll along the endless pristine beaches in either direction of the lodge. Walking between the sand dunes and the aquamarine ocean, you will experience near exclusivity in this stunning setting. The lodge would be happy to send you with a wicker basket for a picnic in the squeaking sand. As the sun strengthens, you may want to seek shade in the lodge’s reading room. Looking out over the ocean, this elegant room is the perfect place to peruse coffee table books and spectacular seashells. Alternatively, you may wish to enjoy a massage at the local spa. Again – the day is yours to design. Afternoons at White Pearl are ideal for snorkeling and playing in the ocean. With masks, fins, surf and boogie boards available for rent at the lodge, you will have hours of entertainment ahead of you. Eventually you will migrate back up to the beach bar for more R&Rs before enjoying another delicious dinner under the night sky. Return to the reading room tonight to have a peek at the night sky through the resort’s telescope before retiring to bed. Having walked along the shoreline for much of yesterday, today you may want to venture out into the ocean in a private boat. The clear waters make for spectacular snorkeling along the area’s shallower reefs, where you can see brightly colored coral and a variety of fish. Dolphins have also made a home in the region, and the lodge will happily organize trips to see and likely swim with these playful creatures! For those that have timed their vacation between July and November, this dolphin tour may also give you the opportunity to boat beside humpback whales as they migrate north to breed. These giants have a reputation for soaring gracefully out of the air, revealing their entire gleaming body to onlookers. If you are a scuba diver – or interested in becoming one – White Pearl is a certified PADI Center and offers scuba courses and diving trips to the nearby Pinnacle Reef. Home to brightly colored corals and vibrant fish populations this is an ideal dive site for both beginners and advanced divers. Depending on the time of year, it may be possible to dive alongside dolphins, Hammerhead, and Whale sharks along with Loggerhead and Leatherback turtles. In the afternoon, return to your room and enjoy the magic of an outdoor shower. Bathing surrounded by beautiful plants and an incredible ocean view will make this one of your most memorable showers ever. As the day progresses, you will migrate back to the lodge for a now familiar routine of cocktails, dinner and the sunset. 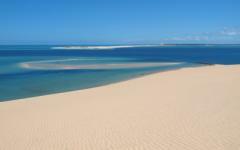 Today you may like to explore the surrounding bush and beach by horseback. White Pearl is the only resort in southern Africa with a license to bring horses onto their private beach, making this a truly unique experience. Galloping along the beach and into the sand dunes, you will pause at various vantage points for panoramic views of your surroundings. A professional guide leads all rides, making them suitable for any age or experience level. Following your horseback ride, you can return to your room to unwind in a bubble bath overlooking the beautiful ocean shores. Portuguese and Mozambican flavors will inspire dinner tonight, with chefs incorporating freshly caught prawns, fish and peri-peri sauce whenever possible. Retire tonight to the subdued Pool Bar for a final drink and perhaps, a celebratory cigar. Today will be your final full day in this tropical African paradise. You may choose to repeat or participate in one of the aforementioned activities, or simply spend this final time absorbing the sunshine and ambiance. The four-poster day beds lining the guest pool might be a nice place to waste away the afternoon. From wherever you choose to relax, be sure to keep a watchful eye on the horizon for humpback whales and dolphins as they soar out of the water and play in the surf. Tonight you can request to have an intimate picnic dinner on the beach under the starry sky before heading up to the beach bar for a final dose of beachside nightlife. On your final morning, it might be nice to rise early with a cup of coffee to watch the sunrise over the Indian Ocean. The vivid colors of the early morning sky will carry you through a long day of traveling ahead. After a few final pieces of mango and papaya, you will then jump in the car to drive back to Maputo. From Maputo, you will fly back to Johannesburg where your outbound flight will depart.